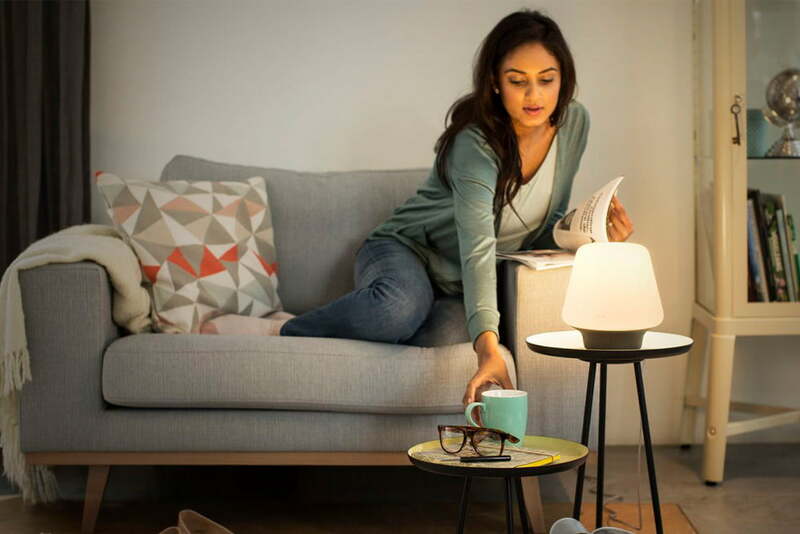 The Philips Hue smart bulbs carved out their own slice of the smart bulb market through tons of features, color choices, and ease of use. While they are by no means the only options for smart lights these days, Philips Hue maintains their place in the market through continuous innovation and constant improvement. Hue Labs, a built-in feature on the app that allows users to try out new features before they are made an official part of the app, is just one example of this. If you say, “Hey Google, sleep the lights,” then all of your lights will begin to dim until they shut off entirely half an hour later. If you say, “Hey Google, turn on Gentle Wakeup,” then your Philips Hue lights will begin to brighten with your morning alarms. This feature was previously available in the Hue App under the Routines tab. The “Wake up” and “Go to sleep” features allow you to set all or some of your lights to fade in or out at a certain time over a given period of minutes. This new functionality makes it controllable via Google Home and adds another level of convenience to your day. You might say, “So what? Who cares if the lights come on slowly or all at once?” Scientific studies have shown that slowly increasing the brightness of your lights mimics the rise of the sun and helps promote serotonin production. This results in you waking up more alert and ready to face the day. If you struggle to find the energy to get out of bed in the morning — or you fight with grogginess for hours after waking — this is a much-needed boon.